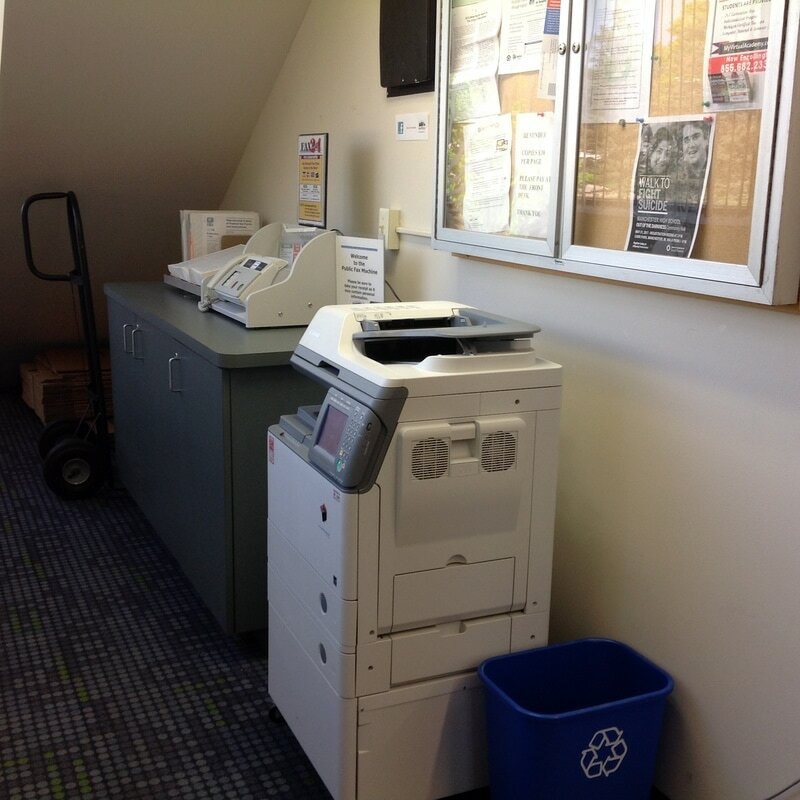 In order to use the Library’s printer wirelessly, you must download a driver (if you are using a laptop) or an app (if you are using a tablet computer or smartphone.) You only need to do this once. Below are the links you need. Our Library printer is an ImageRunner 1730. Once your driver or app is installed, you will be able to see a wireless Canon printer available to you when you try to print something. If you don’t have a Canon printer available to you when you print, then the driver or app is not properly installed. Please try again. The printer is located on the main Library floor, underneath the stairs, and around the corner from the downstairs computers. Printouts are $.10 per page. (The first three pages printed each day are free.) Please pay at the circulation desk when you are done. If you need help, please ask at the desk.